Dungeon Crash is a free-to-play energy based simulation strategy RPG from Firefly Games Inc. You play as a ruler of a kingdom that has been invaded by monsters because the legendary sword, Pandora, has been shattered. So you and your team of heroes embark on a quest to get back the shards a la Inu-Yasha. The gameplay in Dungeon Crash is a surprising mix of elements that I would never expect from this kind of game. You have a simplified simulation gameplay mechanic where you need to continuously build up your town. At the same time, you will also have to focus on building up your heroes. Finally, you have a tiny tower type of game where you will mostly assign your heroes that aren’t part of your line-up to their own tasks/jobs in farming dungeons. 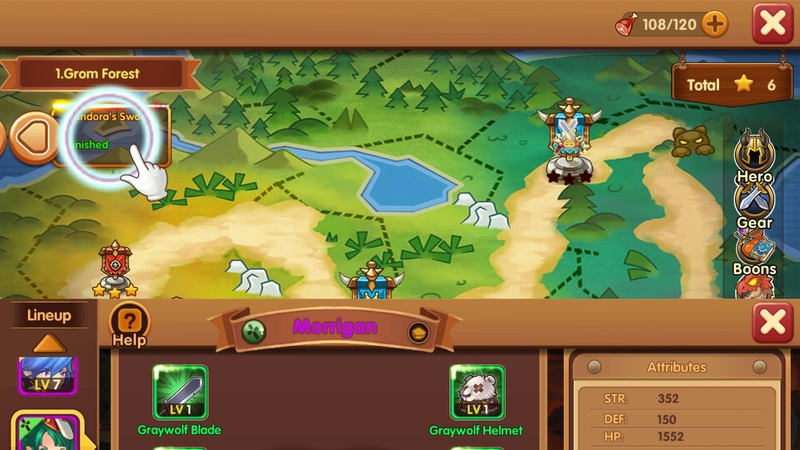 Dungeon Crash uses the tired hero build-up system where you can either level up, evolve, or enhance your heroes. Enhancement and evolution would require you to eat up consumable items earned through dungeon work or instanced runs. Leveling heroes up is done either by sending them through dungeon instance runs or making them do dungeon work. 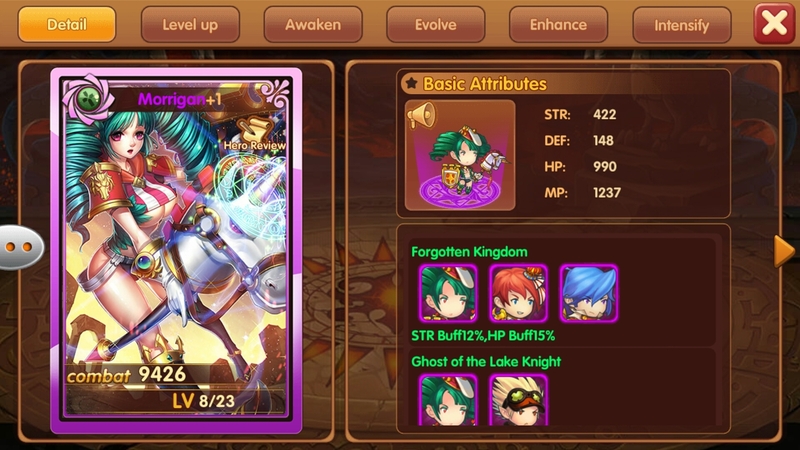 Aside from hero-centric enhancement to increase the hero’s stats, Dungeon Crash also allows you to equip upgradable weapons and gear to your hero roster. Unlike the usual equipment upgrade system found in other titles, leveling weapons and equipment in Dungeon Crash can go past your current level. The game forces you to choose a certain set of heroes as your primary line-up or attacking force. Your line-up determines the set of passives and active spells you can activate per instance. Also as an added boost feature, Dungeon Crash has a combo lineup system in place. This means that your lineup gains more bonuses depending on the set of people you have on the team. One bonus example is the Forgotten Kingdom Combo, which provides strength and an HP buff for Artorius, Murlin and Morrigan. Another is Hired Swordsman, which gives a higher percentage of HP buff for Zack and Richter. 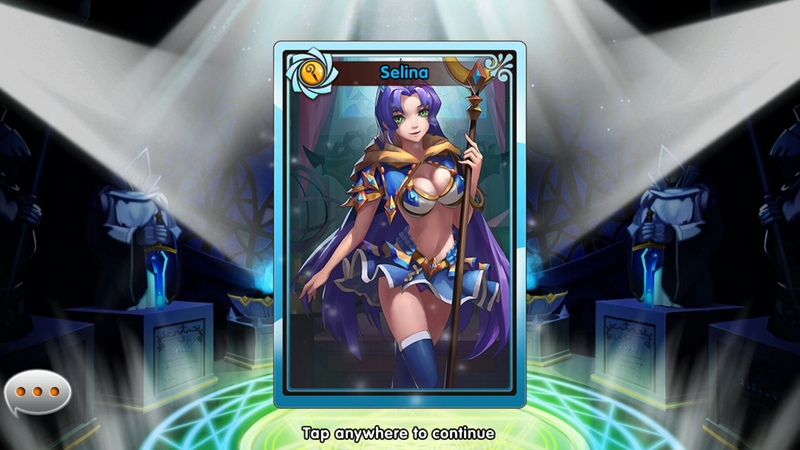 Another thing of note in Dungeon Crash is the source material of the heroes you can attain. Most of them are based from famous fantasy themed characters that just have a different spelling of their name. To further increase the element of familiarity for the heroes, some of these heroes’ fates are connected heavily to the source material they are taken from. The hero’s fate works in Dungeon Crash as a bonus for the items a hero earns after working a dungeon. 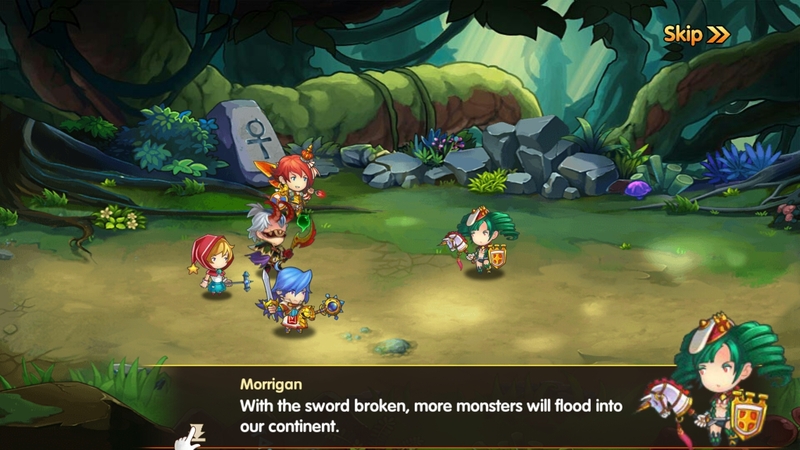 Unlike in other titles where “working a dungeon” means that they would have to adventure in the dungeon with you controlling them, in Dungeon Crash, it means you assign your heroes to literally work in the dungeons you unlock for a duration. The heroes you assign here can either be your backup or standby teams, or you can even assign your current line-up if you know you won’t be actively needing them for a bit. After each work period, your hero then earns the rewards you get based on the posted possible list of items you can earn per dungeon. These dungeons also work like in Tiny Tower where random encounters will have you scourge through the list of dungeons you unlock. Depending on the request given randomly by the game’s AI, you’ll either be required to finish a work period, chase after a pet, or beat a certain dungeon to earn added rewards. Of course the usual squad based dungeon runs and instances are still required in Dungeon Crash. In fact, it’s highly integral here. There’s a certain amount of star requirement needed before you can unlock dungeons. And earning those stars means you need to go through instance runs and get three stars per map. 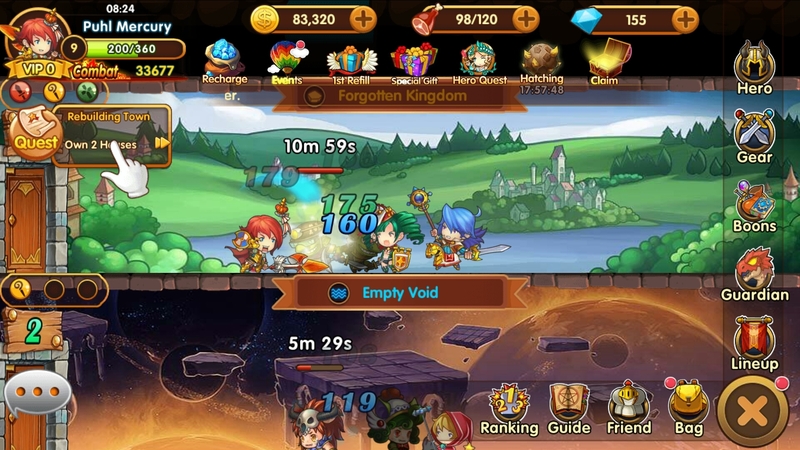 There’s another quirky feature in Dungeon Crash that kind of forces you to look in the game more than your usual F2P Mobile title. This is the random hero visitations that occur in-game one after another. Just like in any kingdom (or at least in the ones we can see in media) you have to grant audience to various heroes that visit your kingdom. All the heroes that come in offer something for your kingdom. Some come in giving quests, while others give off discount coupons, and some provide dungeon specific subquests. It’s basically the game’s way of giving you extra bonuses and busy work in a very thematic and cute way. The problem though with this game system is you really have to put in effort to breeze through the cut-scenes that come along each visit. You have the option to skip the cut-scene but even with that measure, granting audience to visiting heroes has become a tedious process. With the way the game is designed, Dungeon Crash is more of a hero management game than anything else. 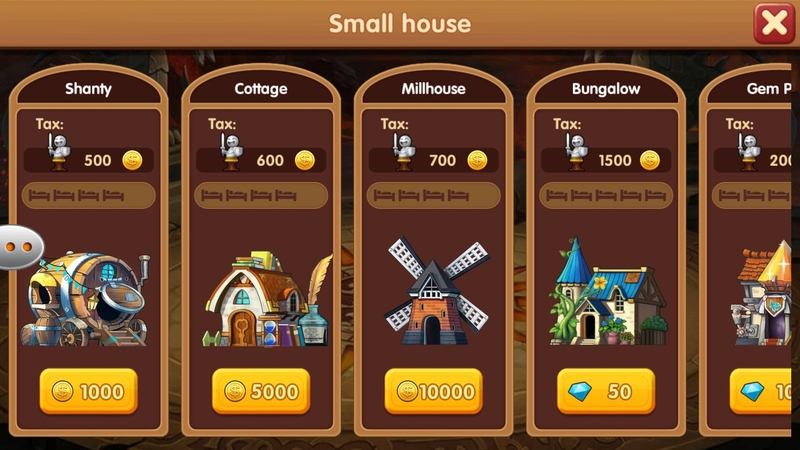 The majority of the things you’ll be doing in-game is to properly manage your hero roster, host them in homes of differing designs and make them useful to your kingdom building. In fact, most of your time will be concentrated on hero housing and proper dungeon assignment. While this sounds dull, at least instanced runs are interesting. The way the game pushes the story along really feels like you are watching an episode of the anime Inu-Yasha where your line-up would throw out lines regarding the recovery of the shards and what not. I liked that the game doesn’t lose that plot point, even as you continue along the story, unlike other titles where the story is quickly forgotten and cast aside. Overall, my experience with Dungeon Crash is a really interesting one. I never expected a company would try to mix two unlikely game elements and even make it work. Dungeon Crash is a solid simulation-strategy-RPG title. I am actually surprised with the quality of gameplay the game has. It’s one of those rare titles where even if the energy is depleted, you have at least a reason to keep your eyes on the game screen. 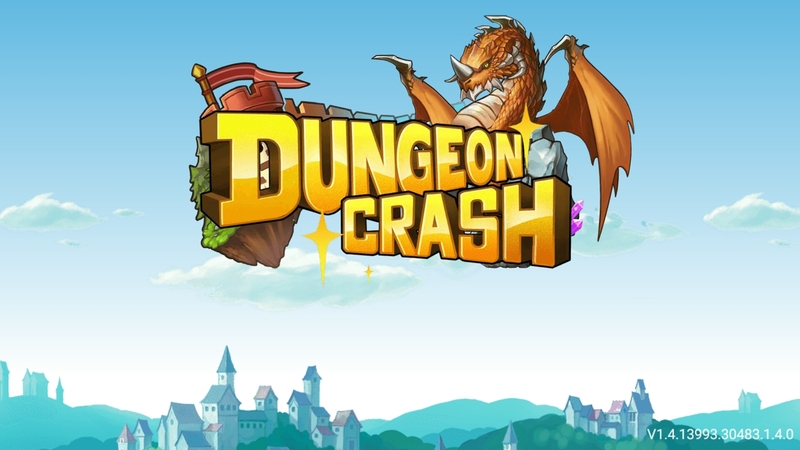 Dungeon Crash is one of those titles that you either love it fully or you hate it because of the amount of time you are throwing into the game. 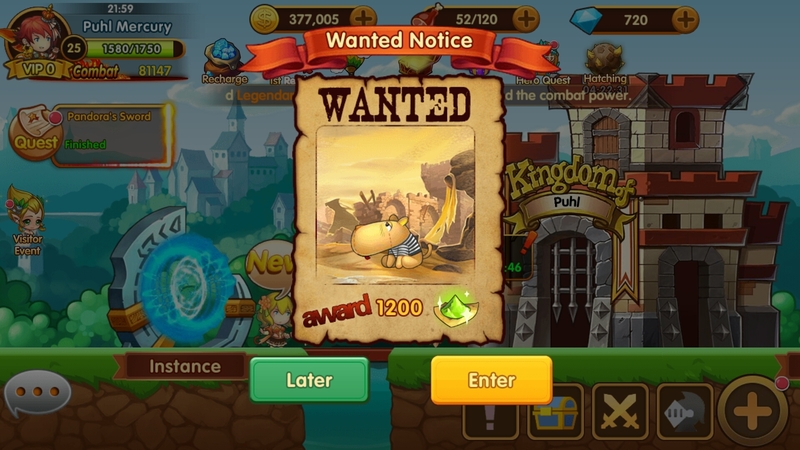 If you’re looking for a throwaway F2P title then Dungeon Crash is something that you shouldn’t get sucked into. However, if you’re the type who wants to be engaged by their mobile game as a semi-main pastime, this game is just for you.